The untitled spin-off set in the world of Arrow and The Flash on the CW just added two actors in roles that were hinted at earlier this year. 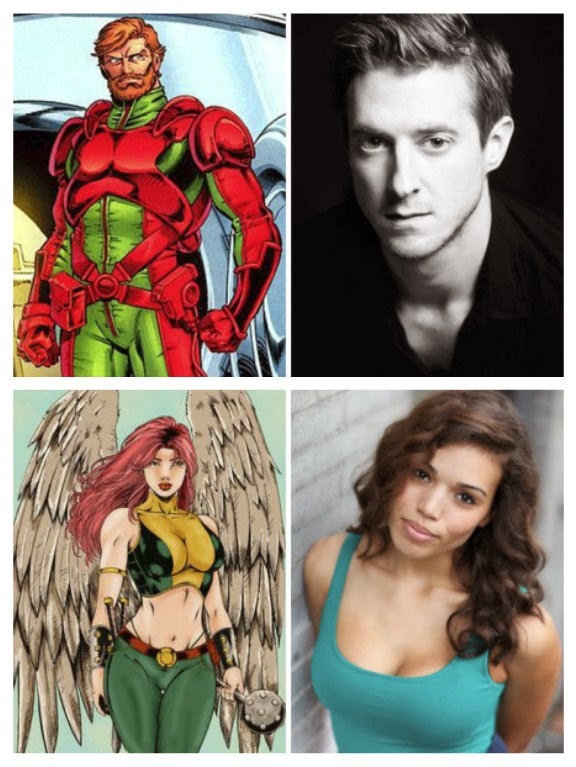 Broadway star Ciara Renee has been cast as Kendra Saunders aka Hawkgirl and Doctor Who actor Arthur Darvill will play time traveler Rip Hunter. The CW's superhero show brain-trust, Greg Berlanti, Andrew Kreisberg and Marc Guggenheim, stated they wanted to add more heroes in the planned team-up series slated for next year. Renee and Darvill will join Brandon Routh (Arrow‘s Ray Palmer/The Atom), Wentworth Miller (The Flash‘s Leonard Snart/Captain Cold), Dominic Purcell (The Flash‘s Mick Rory/Heat Wave), Victor Garber (Dr. Martin Stein) and Caity Lotz whose role is still a mystery. Saunders is a young woman who learns that she has been reincarnated over centuries and when provoked or threatened her warrior spirit reveals itself through wings that emerge from her back. Renee has skyrocketed to fame since premiering on Broadway in 2013 in productions like Big Fish and Pippin. Hunter is described as a "roguish time traveler who hides the responsibility of time itself behind a facade of charm and wit." British actor Darvill also has some Broadway roots appearing in Once and shows like Broadchurch and Doctor Who.